I don't photograph very well. I'm not exactly what you'd call a 'looker' especially with the wonky eyes (one tends to wander off when it's bored), the scruffy beard, the unkempt features, the lack of sleep and the shockingly poor teeth (I'm a smoker who is English ... never a good thing). Let's face it ... even my mum calls me a 'wreck'. Still, Trav Williams at Broken Banjo Photography was taking speaker photos at OSCON and has somehow managed to create something decent. I'm assuming this involved hours of photoshop along with excellence in photography. 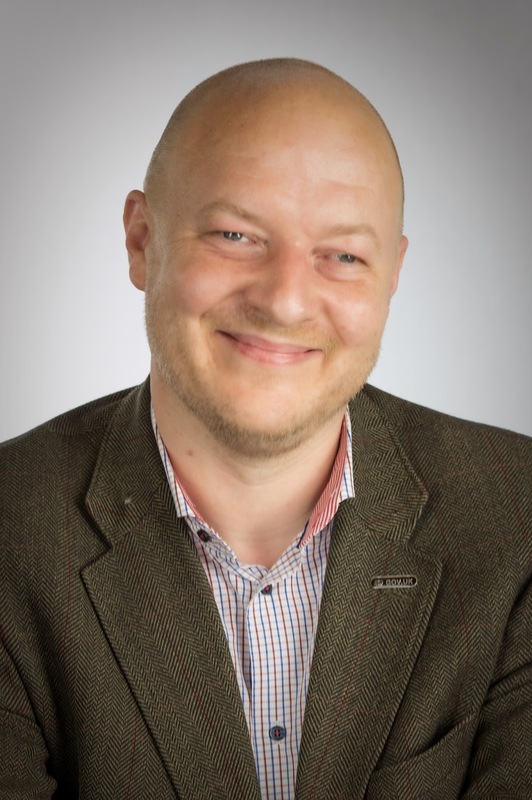 Well, I now have a new headshot ... welcome to the new 'me' ... which is almost identical to the old me, even with the same tweed jacket, check shirt, cords etc etc etc.